Selected seedling resulting from the breeding programme of Kurt Kramer in Edewecht-Siiddorf, Germany 1992, and introduced by Kingfisher Nursery, Gedney Hill, Lincolnshire, England, in 1994. Plant Breeders' Rights granted in Germany on 31 March 1995. This is a tetraploid and hence fertile. 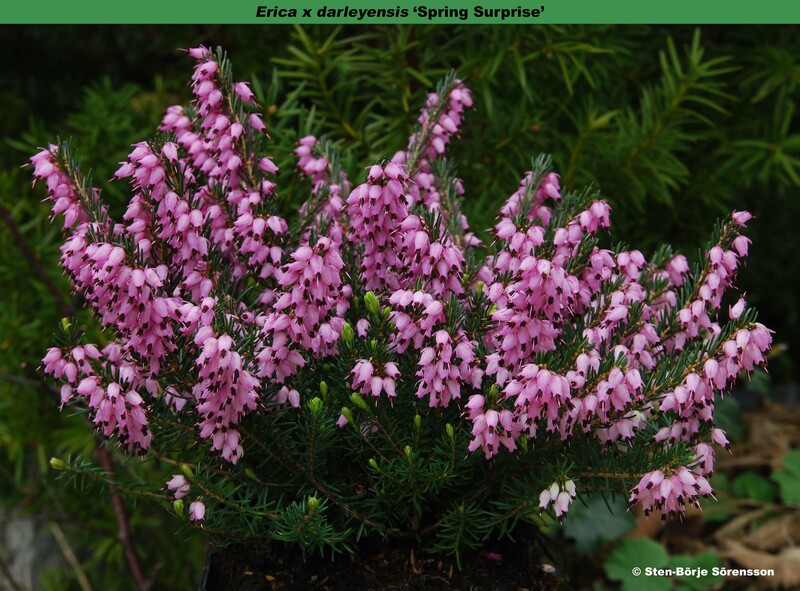 A recommended heather to grow in your garden.